Have you ever applied for credit and been turned down because of a bad credit score? Do you wish to have a comprehensive credit history to enhance your creditworthiness? Perhaps you haven’t applied for new credit in a while, and you are wondering if there are other ways to prove your financial prudence to the creditor besides credit history. Since the 1990s, payment history has been the main determiner of credit scores and the yardstick for measuring a borrower’s eligibility in credit and loan considerations. The finer your history, the higher FICO will score you–but there’s a little problem with this method. For the millions of Americans with little or no credit history, they can’t approach creditors for personal loans unless they are ready to commit to higher interest rates. In many cases, they can’t even obtain a loan at all because they have a poor credit score that stems from a less than desirable credit history. A number of lenders have recorded a series of losses for basing a borrowers’ financial integrity on their past repayment records alone, since there is not enough information to capture the financial stance of such people. By collecting more data from consumers, FICO will now address most of the concerns arising from lender-borrower transactions and possibly increase consumers’ credit scores under the new UltraFICO scoring model. Although UltraFICO promises to give people an opportunity to increase their score and gain good credit, consumers must opt-in for the service and be willing to share their data if they want to be assessed under the new scoring framework. While standard FICO scores are based on payment history alone, the UltraFICO Score-depending on how much data you shared- factors in a wider range of data which may include utility bills payment as well as aspects of your banking transactions. The goal is to assess your financial situation and how well you handle money. So, it doesn’t matter if your credit score is low or you have no score, as long as you don’t have overdrawn accounts and the data you share shows a positive attitude and positive habits regarding money, your UltraFICO score will be high. With the new credit score changes, many more consumers can gain access to broader lending options and better terms. For example, consumers can see an average of $400 in savings throughout three months, and this will possibly increase a consumer’s FICO score. If your information indicates the likelihood that you will repay debt, then it can boost approval for personal loans and credit cards. Once UltraFICO takes full effect, it can help creditors and lenders spot risky borrowers, using the additional information provided to determine the attitude of consumers to money. In essence, lenders will be better informed and better able to make decisions about an individual’s approval and interest rates. UltraFICO seems to be the newest and greatest thing in the credit world, but it’s normal for a new product like this to hit the town amid a storm of hype. Nearly every other person is talking about its unrivalled benefits for consumers and creditors alike, but in doing so are paying less attention to its drawbacks. A critical look at the 2019 model of the FICO system reveals why one must not expect too much from the product. 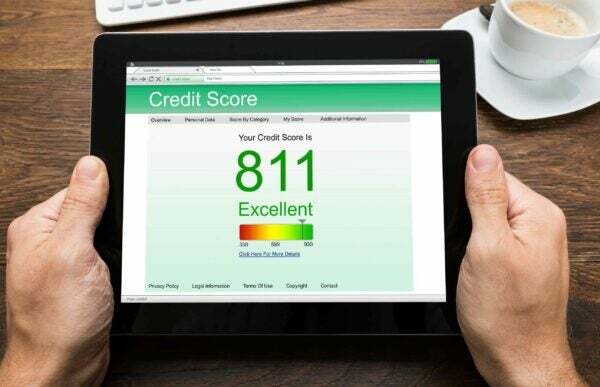 If you already have strong credit, UltraFICO won’t have as much impact on your credit scores as it will for the consumer with a weaker credit score because of obvious reasons. It was created primarily for consumers with low scores. UltraFICO will not replace or eliminate credit reports in any way, and banks will still be able to read your credit reports regardless of the FICO score. Remember that creditors now have more of your financial details which FICO previously shrugged. Take paid debt for instance. It stays on your credit report for seven years even though FICO will not use it to determine your score. So, when you want to apply for a loan, lenders have more robust information with which to assess you and that may not always be to your advantage. Forget about the UltraFICO changes happening anytime soon. Lending institutions have seen multiple FICO score versions, including the recent version 9, but FICO 8 remains the most used version among them. The fact that they are releasing yet another FICO model doesn’t mean lenders will take it up immediately. The more things change, the more they remain the same. It’s ironic to think that credit score changes which they design to alleviate financial problems tend to increase debts and debtors in the long run. According to the Federal Reserve, Americans collectively owe about $1 trillion in credit card debt, with the average household owing more than $16,000. If UltraFICO works as intended, many people already in debt may delve further into more debt. The easier it is for people to access credit, the less they look into alternative means to fund their lifestyles. As we await the utilization of the new credit scoring style, it’s important to note that people who are fresh to credit or have a lower or less-than-perfect credit score will benefit more from the new scoring system. Notwithstanding the hype about UltraFICO, lenders will use their discretion in choosing a scoring model, approving loans and setting charges. While creditors are showing more of a willingness to take risks and provide consumers with easier access to credit cards and loans, the onus is on the borrowers to pay down their debts as agreed. It all boils down to one thing–the need for everyone to embrace personal financial discipline. If you’re unsure how credit scoring works, or just want to learn more about credit repair, contact us.